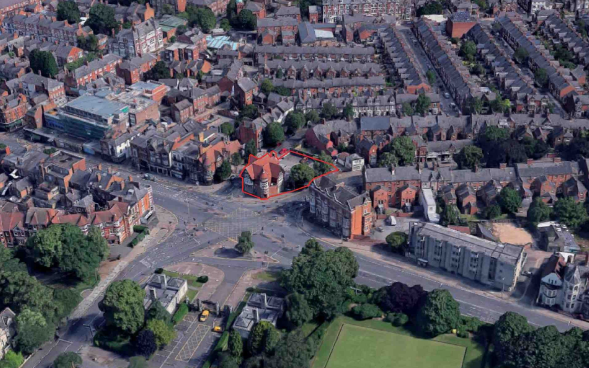 An application from Obsidian Strategies for a five storey extension that will create 70 new student studio flats at 1 St Albans Road in Leicester has been approved by Leicester City Council. The development will demolish parts of and refurbish the existing building on the site, changing the use of the building from financial and professional services, and constructing a five storey rear extension. The proposed extension will attach to the current building at the rear. 15 flats would be on the ground floor, 11 on the upper ground floor, 17 on the first floor, 15 on the second floor and 12 on the third floor. There would be a communal breakout area on the upper ground floor. In 2017 planning permission was refused for the demolition of part of the existing building, the change of use of the first and second floors from financial and professional services and the construction of a five and six storey rear extension to form 35 student flats, together with alterations to the existing building.